To create a more sustainable world, learn about energy efficiency, local food and more. Energy efficiency is “using less energy to provide the same service.” By making small changes, we can all use our natural resources more efficiently and save money. Check out these resources below to help you do so. For programs, educational materials and how you can save money, click here. Energy conservation is important year-round, so do your part and get started today by clicking here. Are you interested in learning about Colorado’s environment and being involved in sustaining Colorado? Check out this state-wide effort by going to: http://conservationco.org/. Did you know that there are recognized home builders who build energy-efficient homes right here in the Grand Valley? Click here. Would you like to save energy and pay less money for gas and electric? Look no further. Check out these simple tips to start saving today! Click here. This group has been leading the state in regional energy and sustainability plans. The group hosts think-tanks, has been recognized for teaching children and teenagers the importance of sustaining our environment and holds meetings to discuss initiatives. Click here to discover more. The energy conservation team is in action! Whether it is homes or vehicles, they are on the cutting-edge for our community. Check out their initiatives by clicking here. Are you ready to dig in and get your hands dirty? 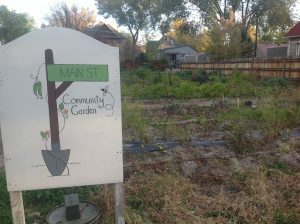 Community gardens are an excellent way to connect with others, learn new skills and put food on the table. Also, discover and enjoy local farmers’ goods at Farmer’s Markets! Read below for more information. Check out this group to be involved with programs and activities related to cactus and succulents, education, hands-on gardening, and plant exchanges. Click here. Learn about lavender, meet new people and start growing your own! Check it out by visiting www.coloradolavender.org. Did you know that this is home to 69 extrodinary tree species? There are several ways that you can learn about these trees. Check it out by clicking here. The Upper Colorado basin is facing increasing demands on water resources, and there are many unanswered questions about how these demands could affect the region’s environment and communities. The Water Center at CMU seeks to coordinate research, education and dialogue on these issues. Click here for more information. Find out about local gardening and horticulture. You can attend meetings, learn about local initiatives and be informed about policies. Click here for more info. Would you like to learn about various plants and their ecosystems? Or, would you like to look at the butterfly house? Check out the botanical gardens by clicking here. How is Mesa County planning for future generations? Check it out, give feedback and get involved. Have you seen the 2040 plan booths traveling around the valley? Keep up with the project and let our community’s planners know what you would like to see by visitingwww.gv2040rtp.org or www.facebook.com/GV2040RTP. Did you know that two new parks are being developed as we speak? That’s right. 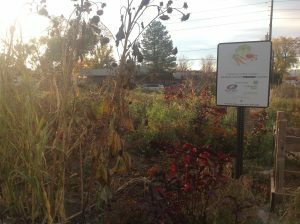 The City of Grand Junction has received funding to build new parks. For more information about Las Colonias Park, click here and for Matchett Park, click here. Complete neighborhoods/streets are for everyone. They include safe access to and from the neighborhood for all users (pedestrians, bicyclists, motorists and public transportation riders). Completeness includes making it easy to walk across the street, walk to businesses and bike to work. ● Why is it important? Walkable and bike-able communities have a lower cost of living, healthier lifestyles and happier community members! So why not? ● Are Western Slope neighborhoods complete? Some are but most aren’t. For more information about this initiative, visit www.smartgrowthamerica.org. For more information about Grand Valley Safe Routes to School, visit:http://www.grandvalleybikes.org/p/safe-routes-to-school.html. “The Great Neighborhood Book explains how any community can be improved and enlivened, not by vast infusions of cash, not by government, but by the people who live there. Through real-life stories, this book addresses such challenges as traffic control, crime, comfort and safety, and developing economic vitality.”http://www.pps.org/ and http://www.pps.org/product/the-great-neighborhood-book/. Did you know that nearly 90 percent of what we throw away could potentially be reused, recycled or composted? That’s right. Do the Earth and our community a favor by recycling. Start today! For location, hours and acceptable items, click here or call 970-241-6846. This organization has recycling pick-up services! You can also drop off recycling at your convenience. For more information, click here or call 970-242-1036.